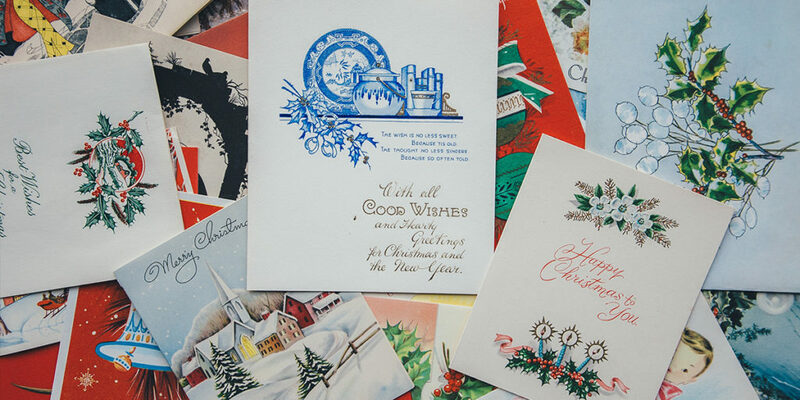 Are Christmas Card Worries Interrupting Your Advent? Christmas card time arrived again. With our college son home for Thanksgiving, I had a brief window to capture my darlings adequately and creatively enough to send to our friends and family. It’s a challenge I relish and detest. It brings out the best and the worst of my relationship with my kids. This year, blessedly, they were cooperative to a degree previously not seen. Even when I declared a do-over the next day, they entered into the process with good smiles and minimal grousing. It was a Thanksgiving miracle. This is not the usual way. For instance, fourteen years ago they had reached the point where they were old enough to make this a challenge. No longer were they collegial little mites who were delighted to have their picture taken for Mommy. They had learned that if they banded together they could make steam come out of my ears. No amount of begging, pleading, or bribing worked. I was aggravated. They were amused. And my husband wondered why I put all of us through this every year. The mission was aborted when dinner was declared ready and I admitted defeat at the hands of three young chicklets. It was a stunning loss. However, it also turned out to be my favorite Christmas card ever. I took four photos and plopped them on the card. Not one of them was ideal. Someone was grabbing someone else. Eyes were closed. People were wiggling. It wasn’t perfect but it was a perfect snapshot of life with kids. My life will never be Hallmark immaculate. When I was able to let go and stop trying so hard, it allowed room for the Lord to enter in and when he gets involved, it becomes easier to let go. Then he enters in more fully. Now, many years later, Christmas is more about celebrating Jesus’ birthday and being with my family than decorating my house, attending parties and getting those darn outdoor lights just right. The Christmas madness is starting to creep into my life and now that Advent has begun it will be omnipresent. What to do? I think it’s important to be intentional and not set the bar too high. Can I eschew all commercial aspects of this holiday? Nope. Nor do I want to. Having lights strung about the house during these long, dark days is nice. Watching Elf again with my family is fun. What I can do is put into practice some things to help us all stay focused. When the kids were little, I continued a tradition started by my own mother. On the first Sunday of Advent, I cut out a tree shape from a piece of posterboard and tacked it to the wall. The kids decorated the tree with goodness by putting on a sticker whenever they did something nice for someone else. We made sure that even if no other decorations had been brought down from the attic, the Advent wreath was on the table for the first Sunday. The kids took turns lighting it each night at dinner, arguing about whose turn it was. Allowing them access to a lighter was harrowing when they were small but as teens they still enjoy it. Our church offered little Advent books with prayers and reflections and we said those together at the table. We did our best and I wish we’d done more. 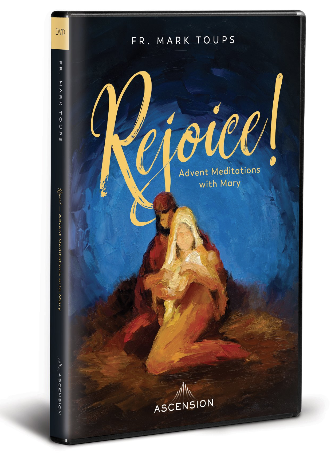 There are lots of resources and ways to create a holy Advent experience. Perhaps going to an extra Mass during the week or slipping into eucharistic adoration works for your schedule. Praying a Rosary and focusing especially on the Joyful Mysteries will bring the season into sharper focus. Ascension has a ton of resources as well. Ascension Presents has short videos from a variety of rockstar Catholic speakers including Fr. Mike Schmitz and Matt Fradd on lots of topics. Ascension Podcasts are also available for your listening enjoyment. Below are some links to videos, podcasts, and blog posts that may help you take the spotlight off Christmas and focus more on the sometimes-neglected season of Advent where we prepare for the coming of our Lord. I still work on the card every year. This is one tradition I genuinely enjoy. I like getting a great picture of my darlings and I love writing a witty, self deprecating family re-cap. It is good for me to focus on the little things that make life with my husband and kids so enjoyable. I also eagerly await the cards we receive because it seems to be the only time of year when the mail is fun. But I know that it is also important to slow down, take a breath and pause the monkey circus. I know that to best receive the great gift of Jesus’ birth I need to attend to it intentionally and not get caught up in everything else. There is no sin in celebrating a holiday of happiness, especially in a time when the days are long, cold, and dark, and I embrace the opportunity to do so. I also want to makes sure I remember that God gave us a great gift in sending his son, and while I do hope for that cute pair of shoes and maybe a warm sweater under the tree I know in my soul that Jesus is always enough. Advent – Will You Be Ready? 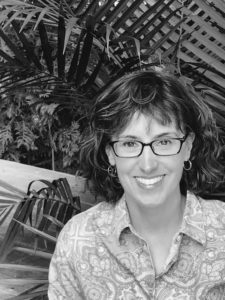 Merridith Frediani’s perfect day includes prayer, writing, unrushed morning coffee, reading, tending to dahlias, and playing Sheepshead with her husband and three teenagers. She loves leading small faith groups for moms and looking for God in the silly and ordinary. She blogs and writes for her local Catholic Herald in Milwaukee.